Over the midterm break students studying the Adapted Physical Activity and Therapeutic Recreation modules from the Department of Sport and Exercise Science (Recreation and Sports Management and Exercise and Health courses) were busy putting their skills into practice in support of the fantastic work of Barretstown. 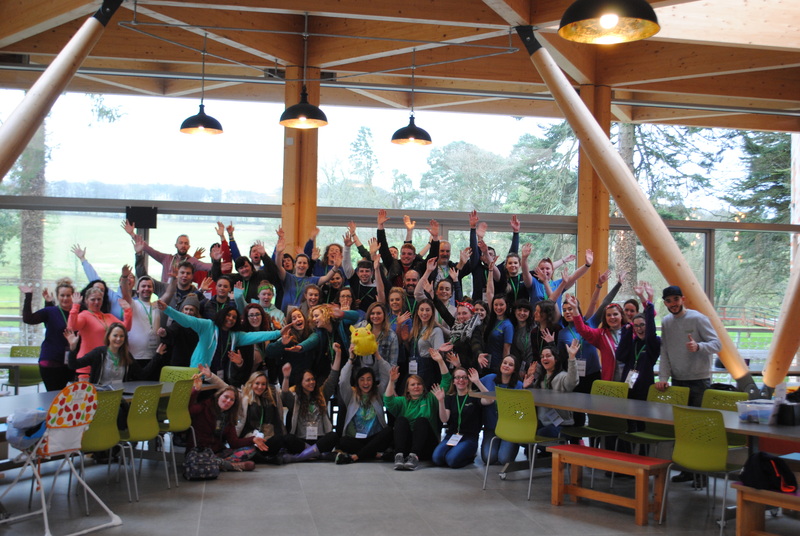 Coordinated by lecturing staff member Kate Feeney, WIT students attended a weekend residential camp in which their role was to support families through a range of activities, fun and adventures. "There is only one way to describe my time in Barettstown and that is magical." "Barretstown was a wonderful experience from start to finish full of many memories to be treasured. It really gives you a new prospective on life and provides you with a lot more than just another mark on the CV." "Barretstown is a place of laughter, enjoyment and smiles. It has now made it clear to me what area of work I want to pursue in the future. Barretstown has opened my mind to a bigger world that not everything is plain and simple, but the small things in life such as a smile every morning can make someone’s day. Barretstown is truly a magical place for everyone young and old and it is a place I will never forget and will be looking forward to volunteering again very soon." "There are many words to describe Barretstown some are magical, emotional, amazing, fulfilling and lastly unforgettable."